China and the US are the two main players in the world economy. At the same time, China is the largest developing country in the world, with a significant imbalance in economic and social development between urban and rural areas and among different regions. China is the world's largest emitter of CO2, followed by the US. Per capita, however, the Chinese levels remain well below those in the US and Europe. ... Click here to read side article. The question of how to bring deforestation into the climate agreement will be an important point on the agenda at COP15 in Copenhagen.Carbon trading was introduced as part of the Kyoto Protocol's goal to reduce ... Click here to read side article. A key challenge for the ongoing United Nations Climate Change Conference in Copenhagen, COP15 (December 7-18), is to combine efforts to address climate change with efforts to promote poverty eradication and growth in developing countries. The interaction between forests and climate is one important issue. It will be discussed on Sunday December 13 at Forest Day 3, an international conference with 15 000 participants, organized by the Danish government in collaboration with a number of international forest and environmental organisations. Many of the issues addressed at Forest Day are central to the climate negotiations so this is why the conference is intentionally coinciding with COP15. “I think Copenhagen can create a new, more friendly and cooperative atmosphere. 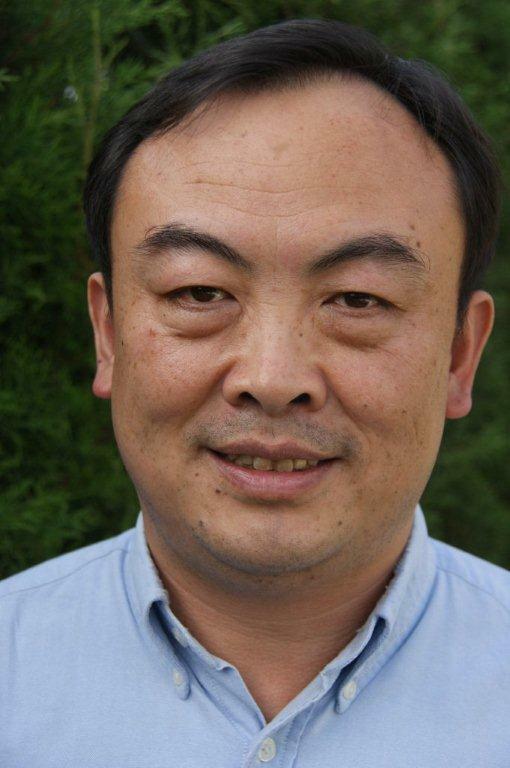 Major countries like China, India and the US can at least reach consensus that we all have to do something,” says professor Jintao Xu, coordinator of EfD China and one of China´s most highly respected experts in forestry economics, on his return from the Copenhagen meeting. What Jintao Xu and his EfD research team have done is to lay out a plan for how the Chinese forest sector can respond to national leaders’ call for bigger contributions to the nation´s climate change programme. The work has included a comprehensive analysis of the potential size of a voluntary forest carbon market in China given different scenarios, namely a cap on emissions by 2012, 2030 or 2050. The work was commissioned by the Forest Carbon Management Office, a proactive department within the State Forest Administration (SFA) that Jintao has been working with since its founding. In 2001 he arranged a conference on Payment for Ecological Services (PES), and then took the opportunity to tell all the forest sector representatives to pay attention to the potential of forest carbon trading. “At that time the most newsworthy thing in China was WTO, the World Trade Organization. China had recently become a member. But I kept telling everyone that forest carbon trading will be much more important than WTO,” says Jintao Xu, smiling. Senior forestry officials participating in the conference had taken notice. A series of follow-up events after the conference led to the establishment of the Forest Carbon Management Office. Jintao Xu´s team has provided the office not only with an analysis of the potential size of a voluntary forest carbon market, but also with recommendations on the policy needs to effectively develop the market. For instance a national accounting system is needed to calculate how much carbon is sequestered and how much carbon is eligible for forest carbon trade. A national system for monitoring is also needed and requires for instance remote sensing and satellite images. They have also conducted policy deliberations on how to set up a national accounting system for forest carbon credits. Research by EfD in China (the Environmental Economics Program in China, EEPC), also focuses on forest policy and in recent years on reformation of the state forest sector and the collective tenure system. The purpose of the reform is to establish individual household management and improve farmers´ livelihood. Lack of appropriate mechanisms and incentives in the state forest sector, and lack of secure forest tenure for farmers in the collective forest sector, underpin severe poverty in forested areas and unsatisfactory performance of forest resource conservation. "Finally the forest sector is on the national map"
Jintao Xu says he is quite happy with the development – the establishment of the Forest Carbon Management Office and the incorporation of the forest sector strategy into the National Climate Change Programme. “Finally we have seen that the forest sector is on the national map. Many climate change experts basically ignored this sector for long. We have contributed to getting the ideas out, together with foresters and colleagues. And suddenly it happens – national leaders promote the forest sector at world summits,” says Jintao Xu.